POWERED BY: 2 x Volvo TAMD 41 series 200`s @ 200hp each. These are shaft drive diesels with controls. Raymarine Hybrid touch screen colour GPS/ fishfinder & chartplotter. Inverter 12 volt to 240 volt power. This Riviera 3000 Offshore presents as a fine example of one of Riviera's most popular models. Twin SHAFT drive Volvo diesels give a top speed close to 30 knots plus. 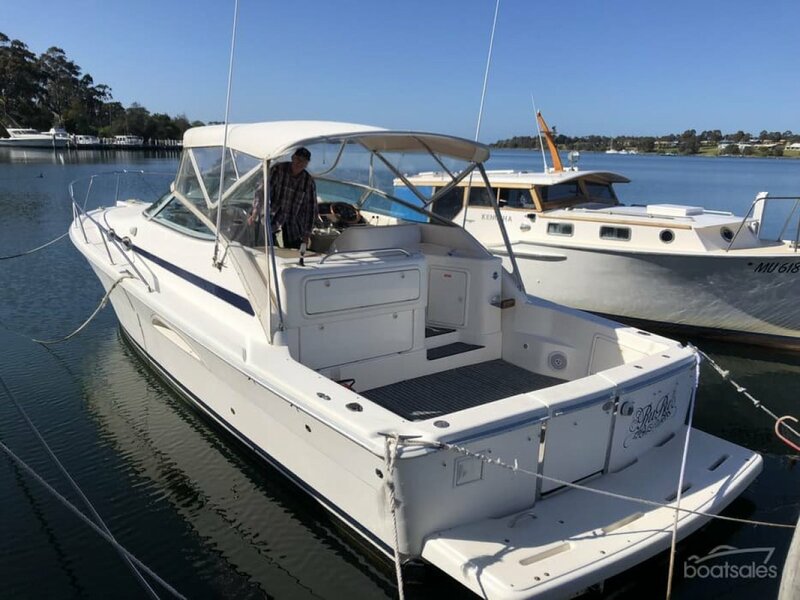 They are easy to handle and well proven at sea, these versatile boats are ideal for a cruising couple or those who love to entertain with surround seating on the bridgedeck and a flush cockpit with transom door for fishing and diving. Navigation electronics were up-graded not long ago and include but not limited to a touch screen GPS, auto pilot, Fusions stereo. Interior is beautifully finished with an island double berth, fresh water Vacuflush toilet and shower, galley and microwave and convertible dinette double for extra guests. * Please contact prior for an appointment to inspect and location.